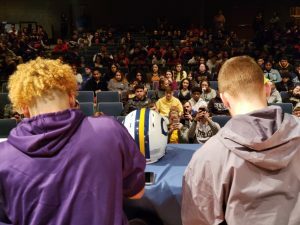 Drew Engle and David Renftle both signed letters of intent to further their education and football careers on National Signing Day. 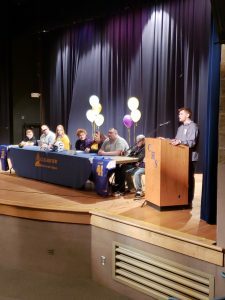 Drew signed with Valparaiso University and David signed with Ashland University. 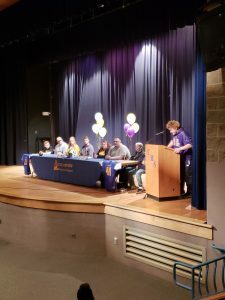 It is a testament to both of these young men’s ability, character, and academic drive that have positioned them to earn these opportunities to continue at such great universities. Throughout Drew and David’s high school years, they have been tremendous assets to the Clearview family in their commitment to academics, athletics, and community service. Here are a few of Drew’s Football accomplishments at Clearview. Here are some of David’s Football accomplishments at Clearview. We are extremely proud of these young men and look forward to watching them on Saturdays. Congratulations Drew and David!